ILM-NA0-1524 - I.L. 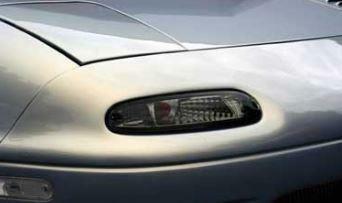 Motorsport turn signals - MiataRoadster - Stay tuned with MiataRoadster! Notes: PLUS SHIPPING. THIS ITEM IS A SPECIAL ORDER FROM GERMANY. I.L. Motorsport turn signals featured a smoked design. Comes supplied with an orange 2 phase bulb wire set. The light has one blank room which can be converted to a day time running light.